For those who have been following technological disruptions within businesses there are a number of models to look at. Uber, Airbnb, Facebook, etc. have all played a significant role in reshaping the transport, hospitality, and media and advertising industries respectively. Though this can be most closely related to the banking, finance, and related services, Blockchain technology has impacted many other industries including the third-party logistics (3PL), supply chain, warehousing and distribution sectors. Given Blockchain technology’s advantage as an alleviator of human error, high speed, and a new way of transacting digitally, many industry players as exploring opportunities in this regard. Though still to be examined more closely there are a number of different types of Blockchain networks: public and private. Public networks are open and allow anyone to participate. Private networks are for a closed group and can be extended to new players by invitation. Based on the requirement, one can choose between public, private or public-private networks. For many players within 3PL, Blockchain technology has the potential to revolutionise certain systems and procedure, reduce costs, and increase efficiency. In many cases, though yet to catch on to the trend, is has been said that Blockchain technology is a prime candidate for inclusion within the supply chain sector. Of course, this only works across the chain if the network of companies including suppliers, warehouses, manufacturers, etc. are all completely involved. However, given the increased interest this is poised to be a breakthrough for the industry. Part of the hesitation stems from a lack of clearly understanding of the technology as well as embracing its benefits. As Neil Collins, regional managing partner for Korn Ferry’s North American industrial markets unit has said, “The supply chain/logistics leader must now be agile, a strategist, a visionary and a collaborator. The entire supply chain organisation must now compete with technology, and the winners will be those that elevate their people using technology, rather than replacing them with it.” Thus, the leadership must intervene from the top in order to embrace the inclusion of Blockchain. However, once on board, the advantages are clear. Given that the supply chain works in sync with Blockchain technology in a linear or “down-the-line” manner, the transparency of each node and its visibility can benefit the entire chain. As every item can be viewed and traceable within the Blockchain, players merely need to add their own information within each record. This could help reduce fraud, repetitive data duplication, and excess paperwork. As companies being to see the benefits of Blockchain technology there is a greater likelihood of it entering the 3PL mainstream. However, companies must understand where it can best fit within their own requirements. Finding the appropriate Blockchain partners, calculating costs such as overheads, technological and infrastructure, and ensuring a sound fit within a specific business needs to be carefully examined and addressed. It is a long-term investment and requires a great deal planning, a change in mindset and approach, and a detailed exploration of its ramifications. Currently, many industries like those mentioned earlier are forming groups and partnerships to ‘test the waters’ with regard to Blockchain usage and adoption. This appears to be a sound point of entry for 3PL players as it provides time to understand and evaluate its merits prior to integration. 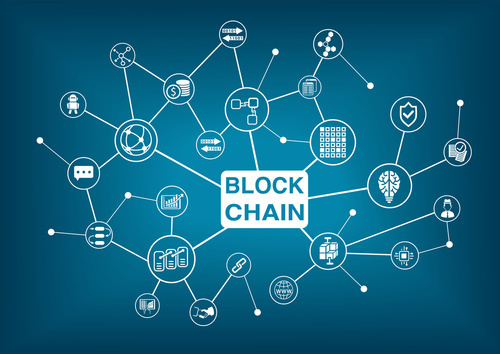 Though Blockchain has the potential to be the next big 3PL disruptor its own nature and functioning have ensured that many players are still viewing it with caution and soft hands. Regardless, the undoubted benefits are clearly visible and over the next few years more and more players will look to adopt the technology.